The good thing about tea – especially a hearty green tea – is that it provides a healthy and stable base for different potions that help to ease different ills. The best tea to use as a base for tonics is definitely a mid grade green, like a Maofeng. If this seems confusing, think of it as a whiskey drinker would: would you pour ginger ale into a glass of Jameson or high grade Black Label? Probably not. But for a lower grade, say Red Label or any of the American distills like Jack or Jim, mixing is fine and often encouraged. 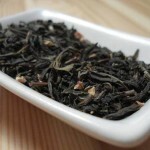 But if you want a more robust taste, a more tea flavored potion perhaps, then a black tea is also very good. If you notice, most blends available today – ginger, orange, jasmine etc, all use either greens or blacks as a base. I think, in terms of taste, a black might offer more whereas for pure health benefits and tea cures, a green is a better choice. 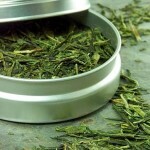 I will write here about some healthy green blends that are popular in China. For Constipation: 2 grams (standard cup) of tea with 10 grams of sugar, for constipation. The best sugar to use is either cane or palm sugar. This is a drink you can enjoy on a regular basis to stay … regular. For Toothaches and Sore Gums: 3 grams of tea with 1 gram of salt. When I was young, my grandmother always gave me hot water and salt for toothaches or sore gums. The Chinese seem to agree with her and prescribe tea and salt for the same ailments, but also to improve eyesight and to reduce phlegm if you have a cold. For Common Cold and Flu: 7 grams of tea with approximately 10 small slices of ginger. This is the potion for the common cold, congestion, the flu or a chest cough. 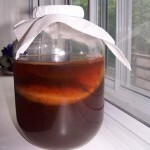 For Stomachaches: 3 grams of tea with vinegar to help with a stomach ache, toothaches, IBS or diarrhea. For Kidneys: 3 grams of tea with a dollop of honey to help ease constipation, clear and comfort the lungs and also to help flush out the kidneys. To Aid in Digestion: Tea porridge is also a common “gramma cure” for upset stomachs and to aid with digestion. One recipe calls for 100 grams of white rice and 6 grams of tea. You should use wet tea leaves and grind/mix them in with rice for best results. Of course you can add wet tea leaves to any starchy compound to achieve similar results. 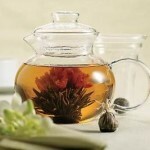 To Remove Toxins: Tea with chrysanthemum blossoms has to be the most common afternoon drink in Sichuan. 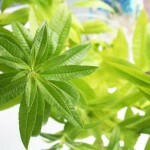 It helps to ease “heat in the body” and removes toxins as well. A fine summer drink to help with humidity and dizziness. Many people serve this drink chilled and in China they add several different types of medicinal herbs, including goji berries. To Cure Nervousness: Infuse your tea with a bit of ginseng to cure nervousness and to strengthen your constitution. A good morning elixir or even just before you go to bed. For Indigestion: Black tea works very well with sugar and milk. The English figured this one out a long time ago and afternoon tea might be more than just a pleasurable past time: the Chinese believe that this elixir is great for digestion. For Throat Abscess: Add ground up orange peels to your black tea if you have an abscess in your throat or if you want to prevent one. For Heat Stroke: Green tea with honeysuckle is delicious and a favorite of mine. 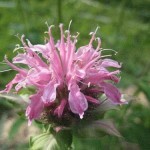 I never knew that it can also help with heat stroke, hair follicle pyosis and enteritis. These are just a few different ways to mix and blend your teas. Tea Blending is fun and also spices up your tea drinking experience. 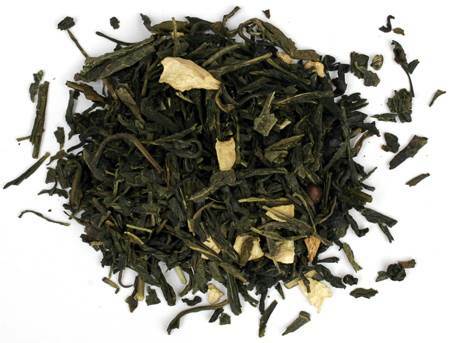 It is also possible to blend with Tuo Cha or Oolong teas, but it is a more complicated process and usually can not be done in the common American kitchen. One secret that I am a little apprehensive about divulging: wet green tea with flour makes great dumplings.